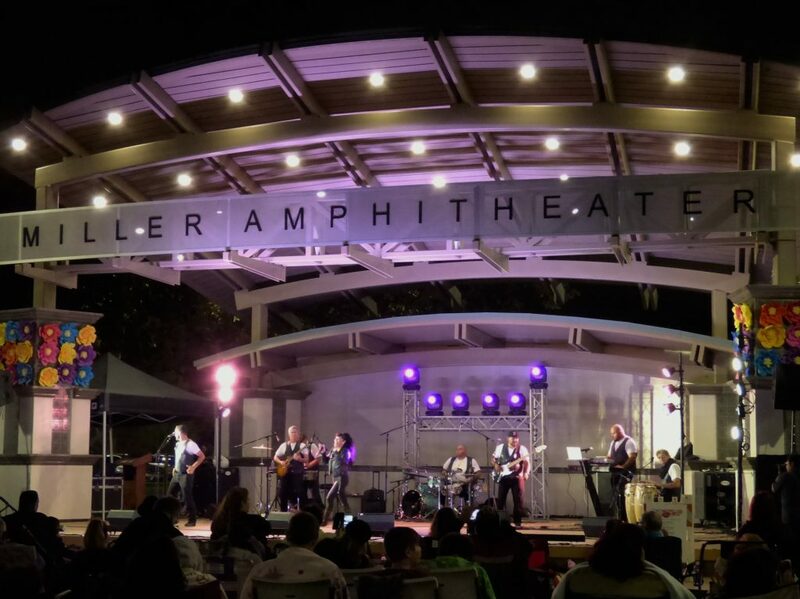 Residents of Fontana gathered at Miller Park Amphitheater for La Gran Fiesta on Oct. 6th to celebrate Hispanic Heritage Month. The event was free and open to the public. California is a highly diverse state and many people of diverse backgrounds attended the event with their friends and families. Guests of the event were able to enjoy various styles of Spanish music and live entertainment from Como La Flor Band: A Tribute to Selena, Orgullo Mestizo Folk Ballet, Evie Dance Studio, and Marimba Tropical. 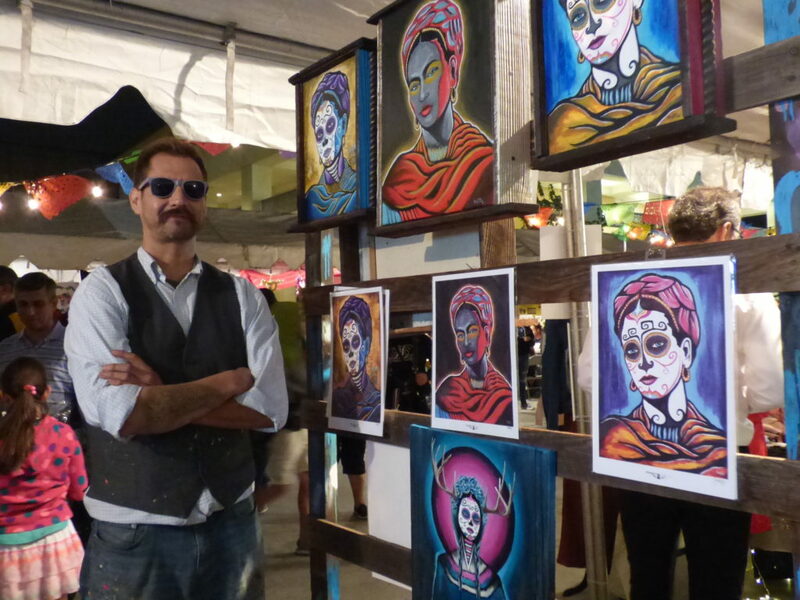 Local artists from various areas in southern California were at the event to display and sell their art inspired by Latino culture. Francisco (Frankie) Castillo, a local, mixed media artist, uses these mediums to create urban expressionism and abstract art for viewers and clients. Another artist, Julio Jimenez, was at the event creating an anamorphic 3D mural for guests to watch and as a gift to the City of Fontana in honor of Hispanic Heritage Month. Anamorphic 3D is the illusion created from a one point perspective through which people use cameras on a technological device to see the piece properly. 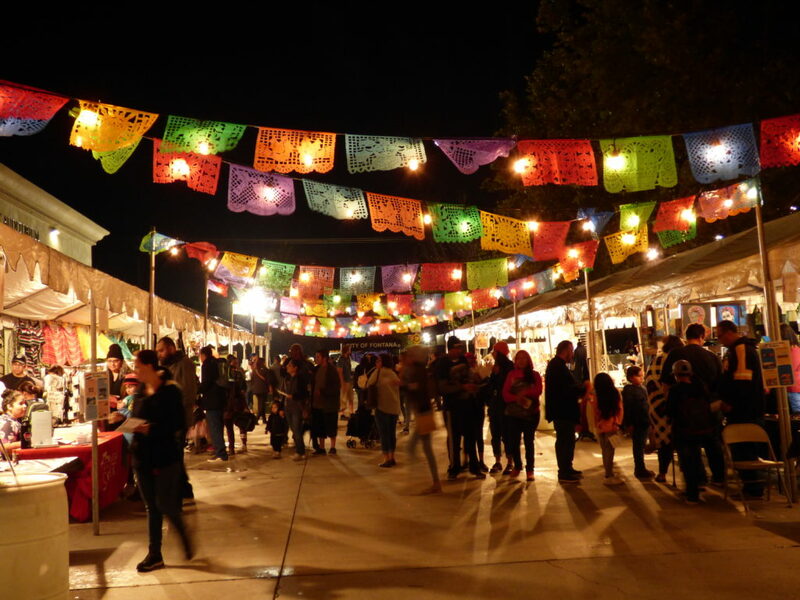 Aside from artisanal shopping, the event also provided interactive art exhibits, play zones for children, and authentic food vendors throughout. The performers and artists greatly expressed their appreciation of their Latin roots. Mariella Romero, a folkloric dancer in a Folklorico Club at Fontana High School, explained what Hispanic Heritage Month meant to her. “It means to embrace your Mexican culture and get back to your roots because Mexico can be far away and people can’t go visit all the time, especially if you’re an immigrant from there,” said Romero. “To me it’s recognition, you know, of our culture as a whole: South America, Central America, North America. It’s one of our needs as humans to be recognized,” Castillo adds. Overall, for some, the month is meant to remember and respect your ancestry. “This month is meant to celebrate your ancestry and all they great things they’ve done and to respect your culture, to live it on and keep it going,” Aztec performer, Oscar Hernandez said. Apart from the celebration and entertainment, La Gran Fiesta is also a learning experience that teaches guests more about Hispanic culture. “Well I’m not Hispanic but I enjoy learning about other cultures, so I would come out to anything just to learn about other cultures and have my son exposed to different cultures as well,” said Peters. Pretty Cool! Great job Coyote Chronicle!